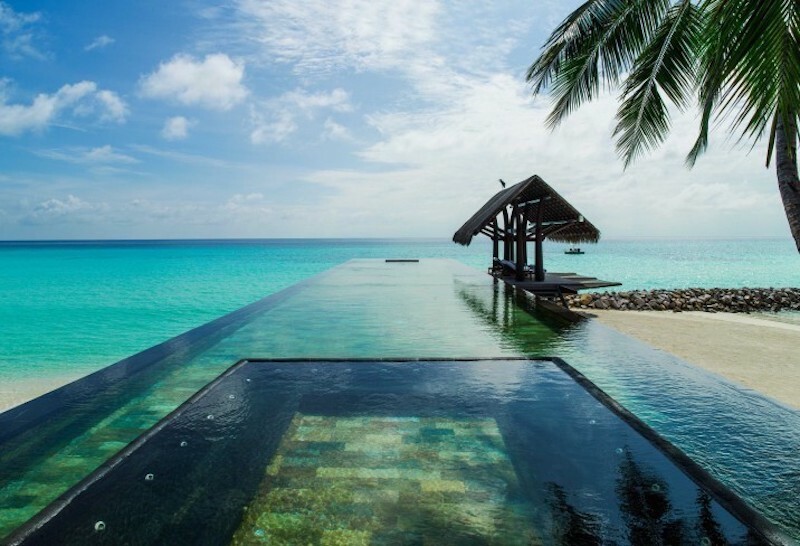 One & Only Reethi Rah, Maldives. 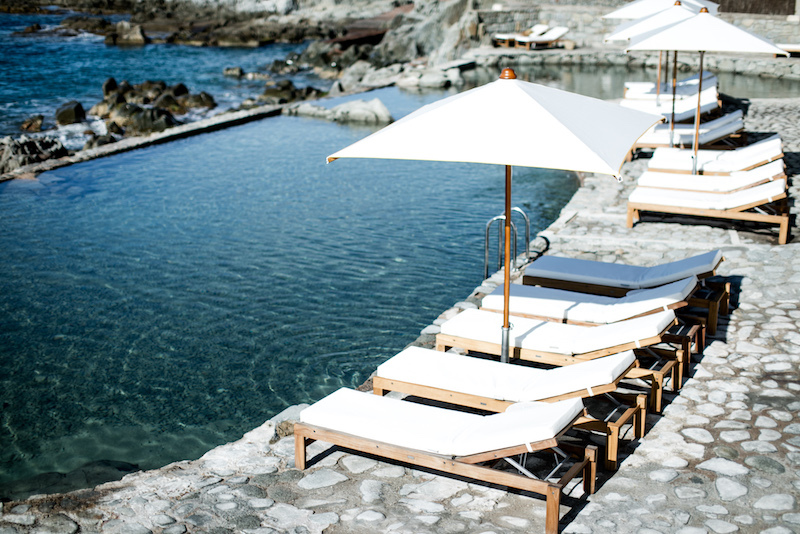 Local 30-meter swimming pool lined with marble, and the water taken directly from the ocean - you will enjoy them sitting on a special podium in the sun. 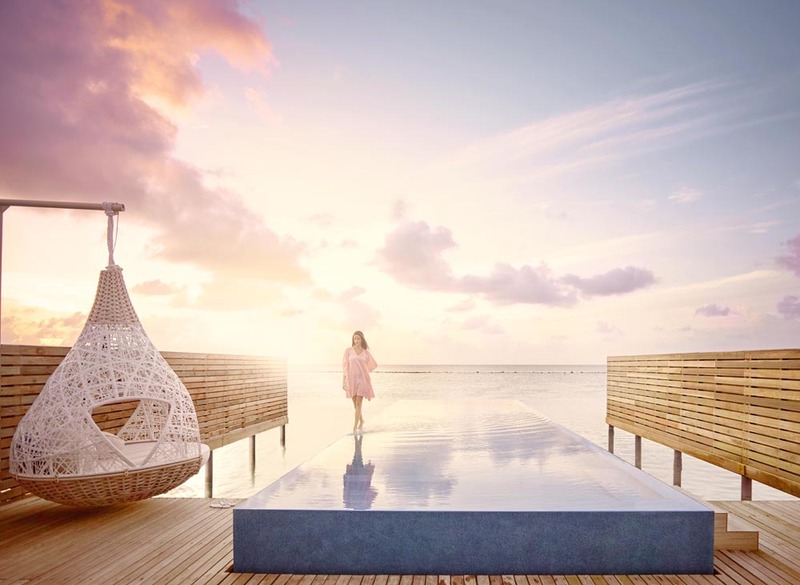 Lux South Ari Atoll, Maldives. 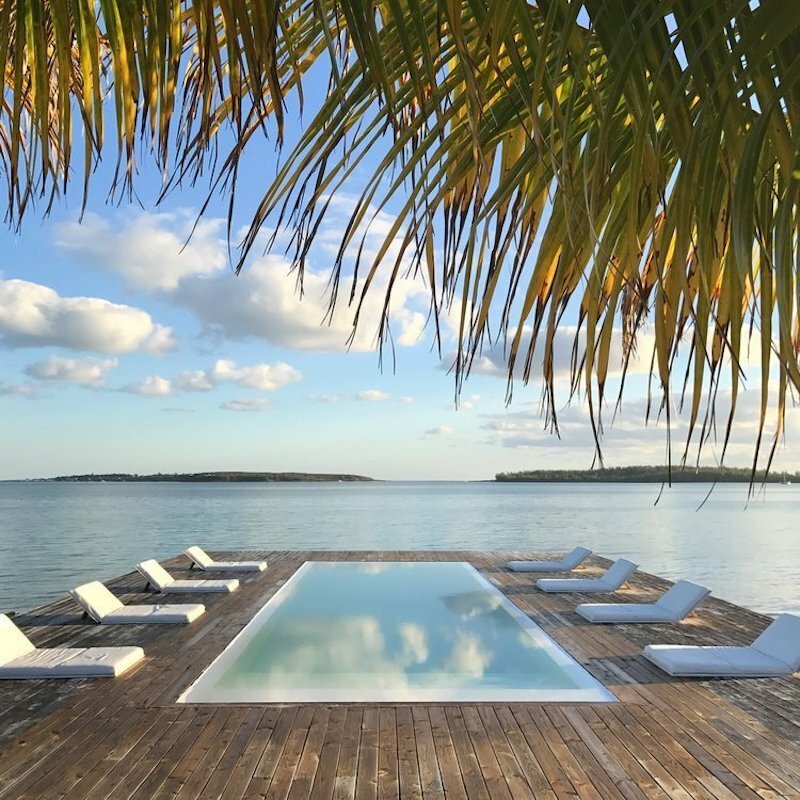 It seems that the local 21-meter swimming pool goes straight into the unique Maldivian sunset. And this is not the only "special effect": due to the overflow system merges with the surface of the floor - and you can literally walk on water. The Other Side, The Bahamas. A hotel with the telling name ( "On the other side"), and really brings in another dimension. 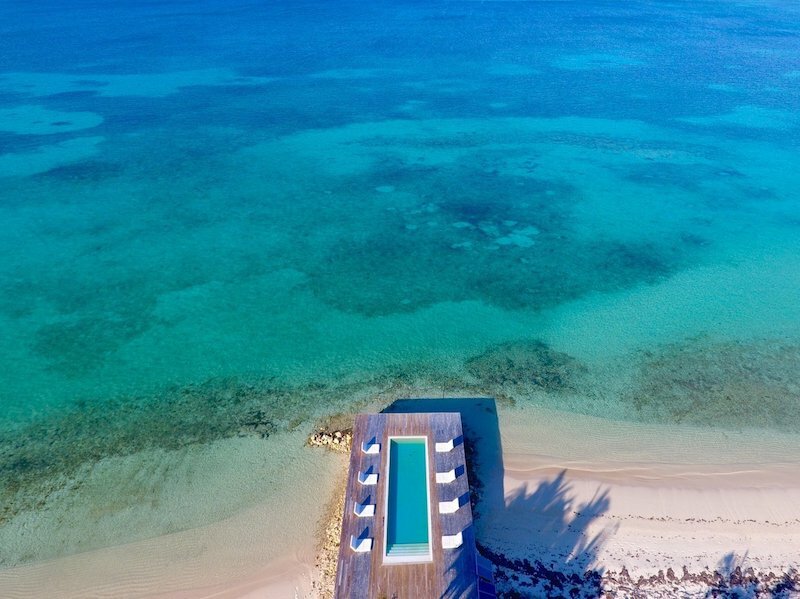 View from a wooden podium with a built-in swimming pool - both with selling postcards dream, besides uncompromisingly serene. 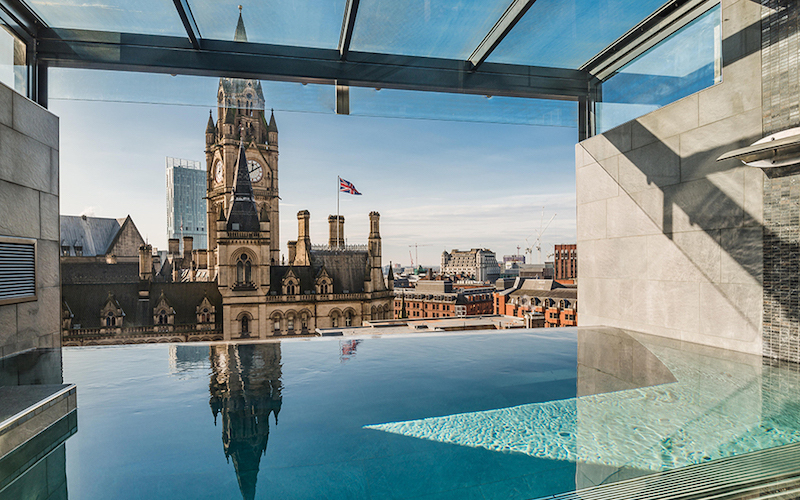 King Street Townhouse, Manchester, United Kingdom. 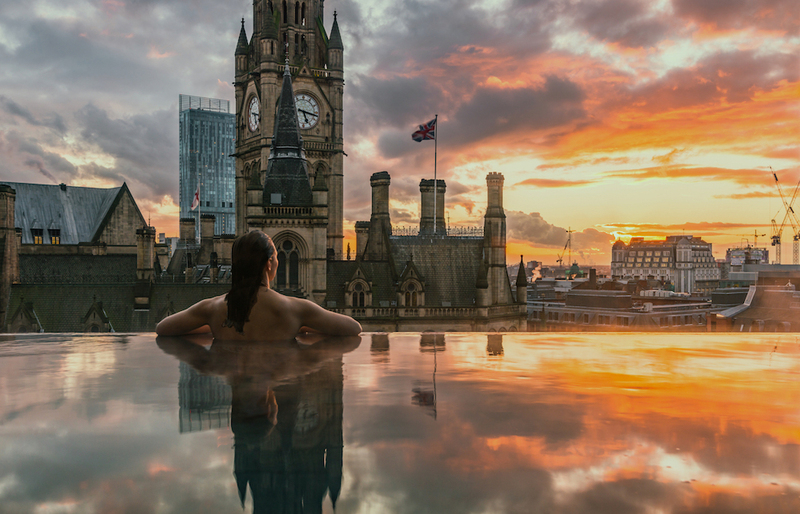 The local swimming pool is very reminiscent of a giant whirlpool - with the only difference being that the bathroom is not out of the ordinary with views directly to the town hall and main in the city with a clock tower. Tri, Sri Lanka. 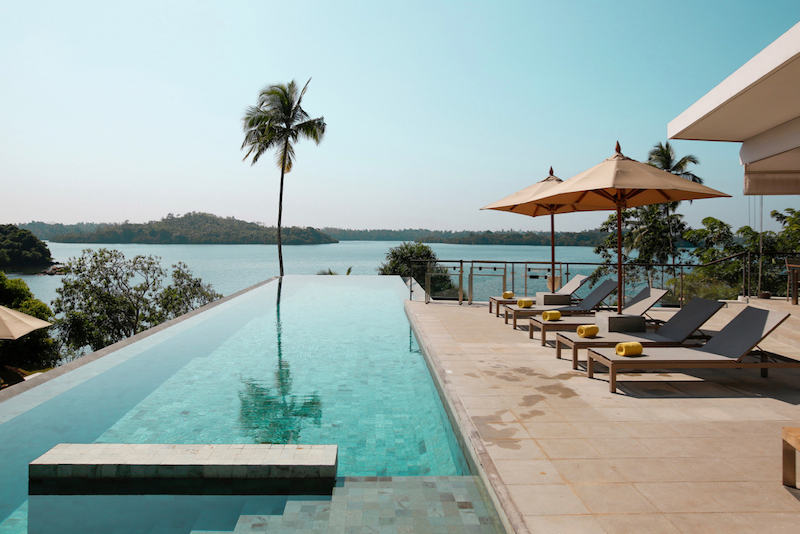 "Water Water" - so you can describe the swimming pool, which "hangs" over Lake Koggala. 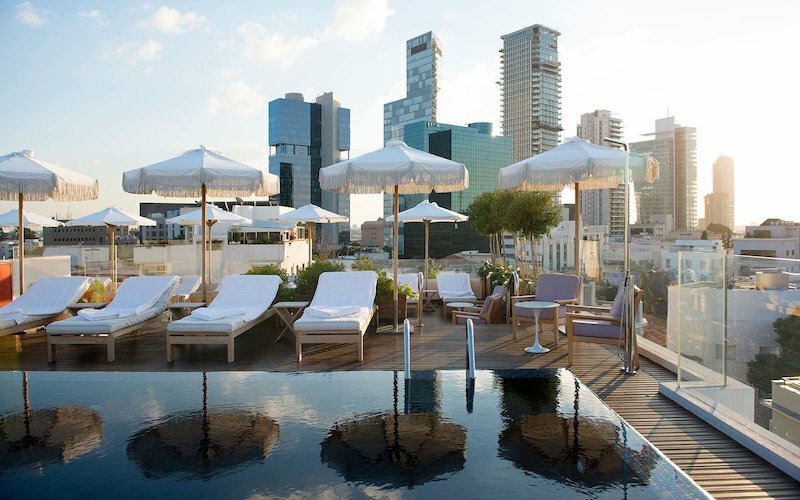 It is, incidentally, is a serene, what it called an oasis of peace. Peace and quiet, and around - the plantations of cinnamon and immersed in the greenery of the forest, which lost several Buddhist temples. 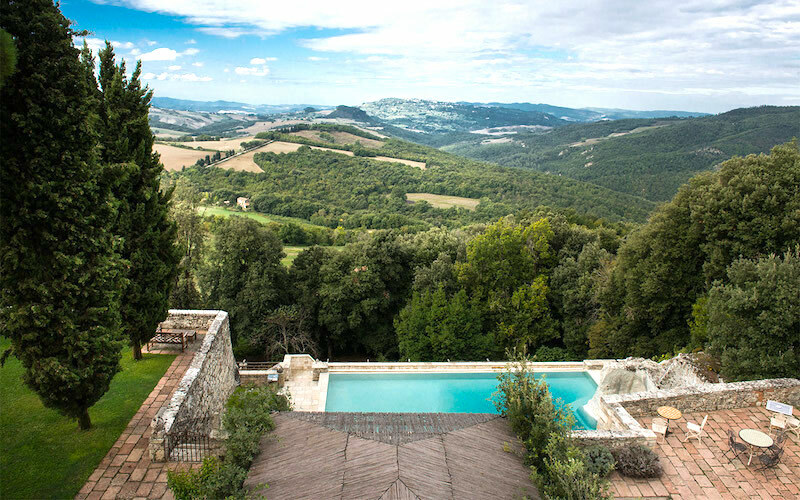 Borgo Pignano, Tuscany, Italy. 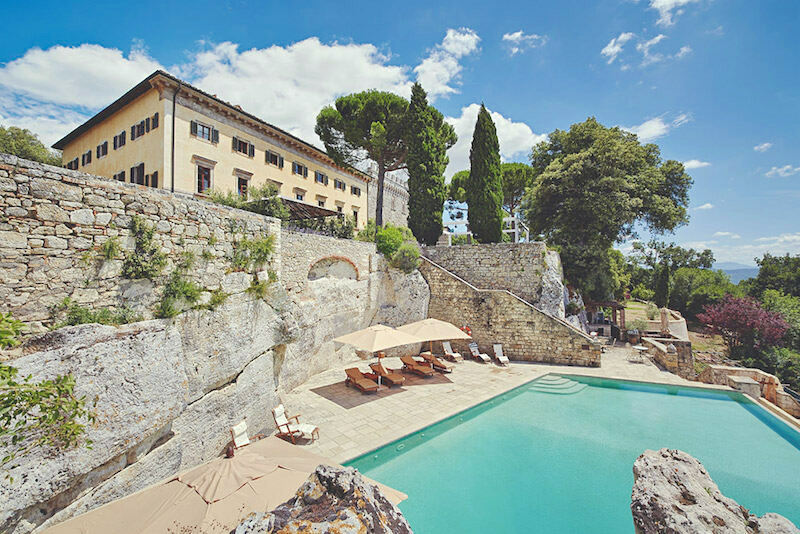 For 10 centuries the villa has seen a lot - and receptions (once the estate belonged to a wealthy aristocrat), and complicated operations (at one time the hospital was located here). 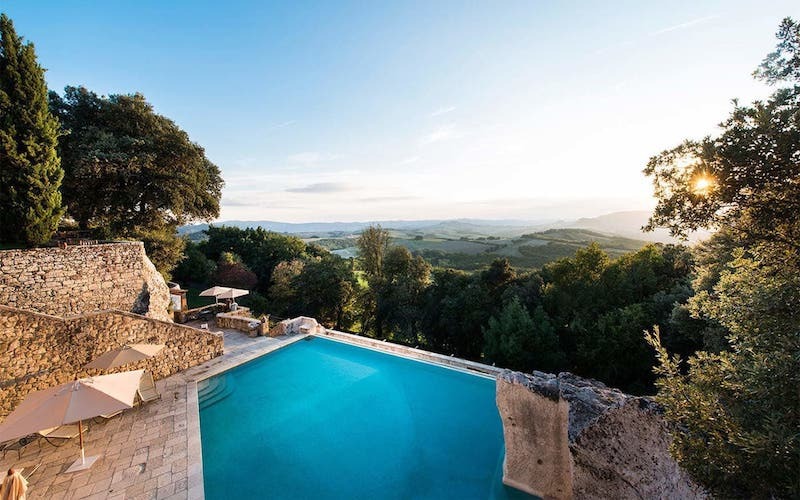 In 2000, a former member of Google's board of directors Michael Moritz has transformed the villa into a hotel, which now also boasts excellent views of pool on one of the terraces goes straight to the hilly Tuscan valley. 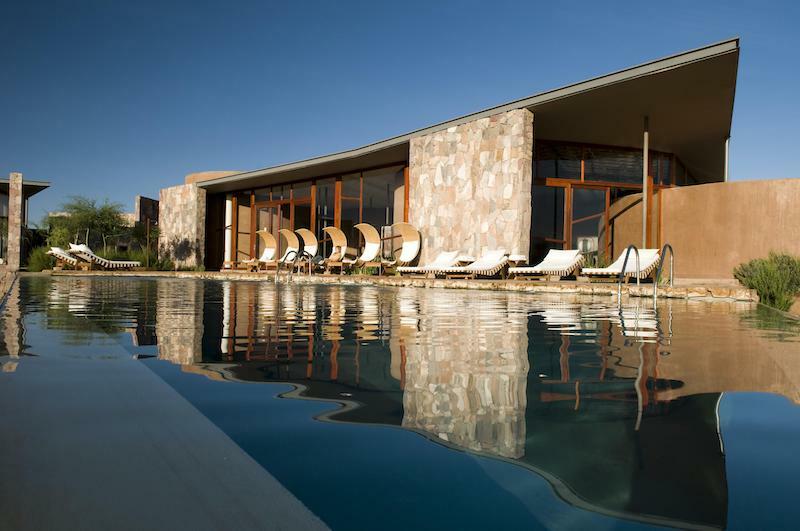 Tierra Atacama Hotel & Spa, Chile. 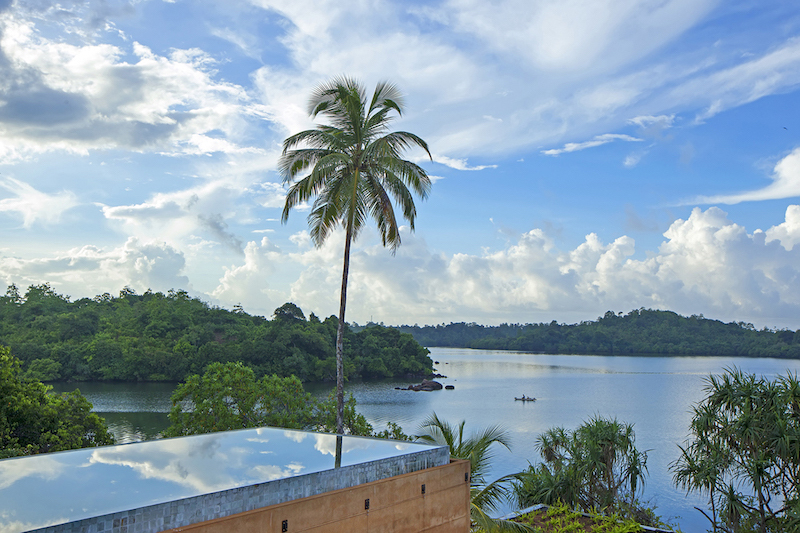 The local scenery so beautiful that served as decorations to the James Bond film "Quantum of Solace". 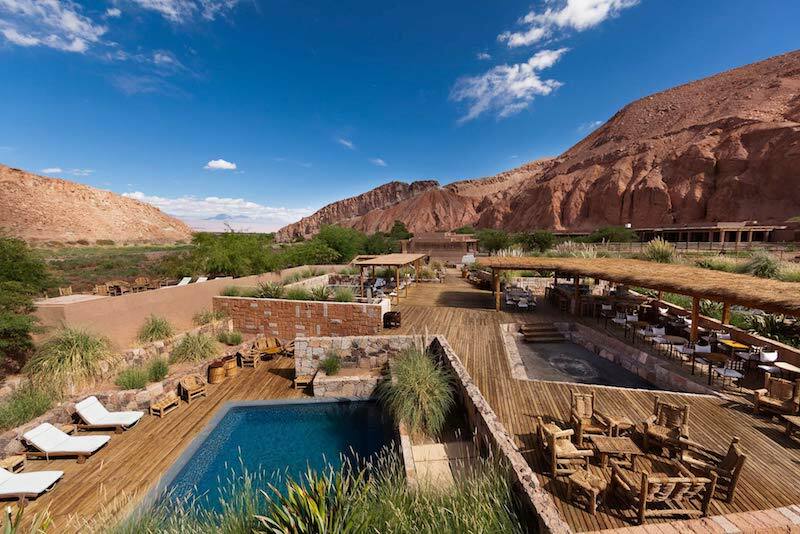 Atacama - not only the most picturesque, but also the driest desert in the world. 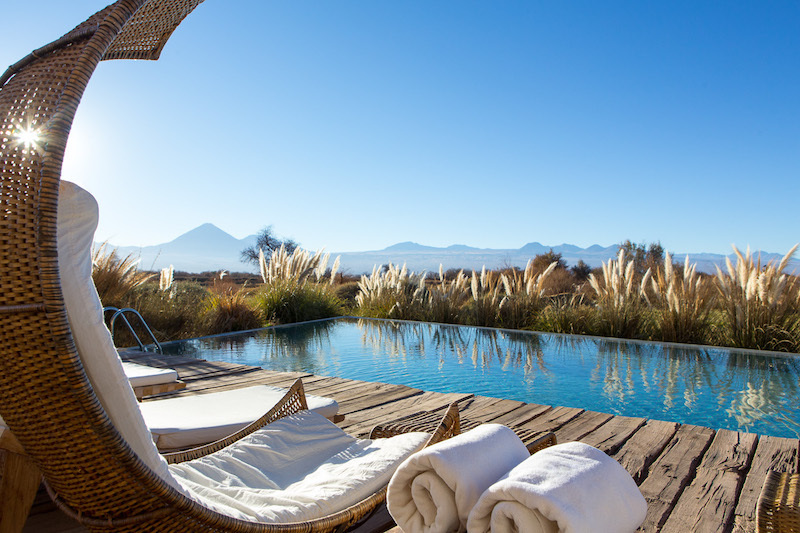 But guests are not afraid of any heat - thanks situated in the shade of the pool, swimming in which you can admire the llamas, chinchillas and other charming natives. 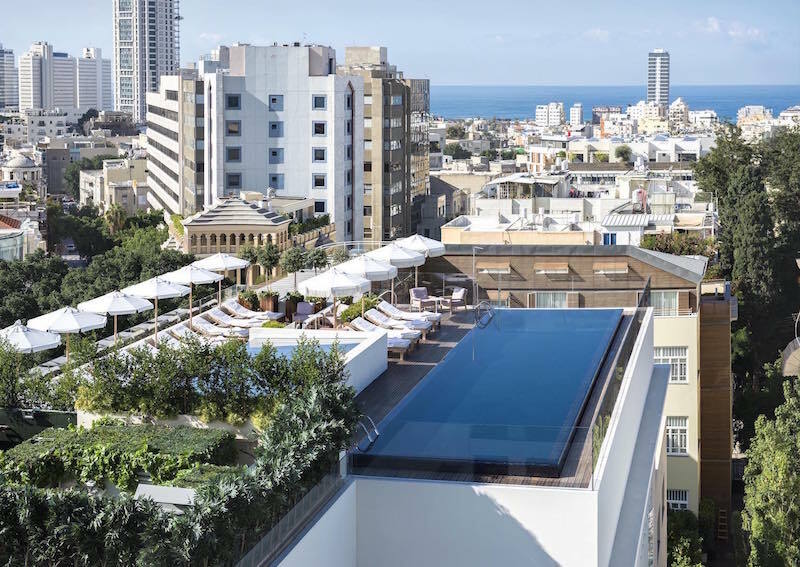 The Norman, Tel Aviv, Israel. 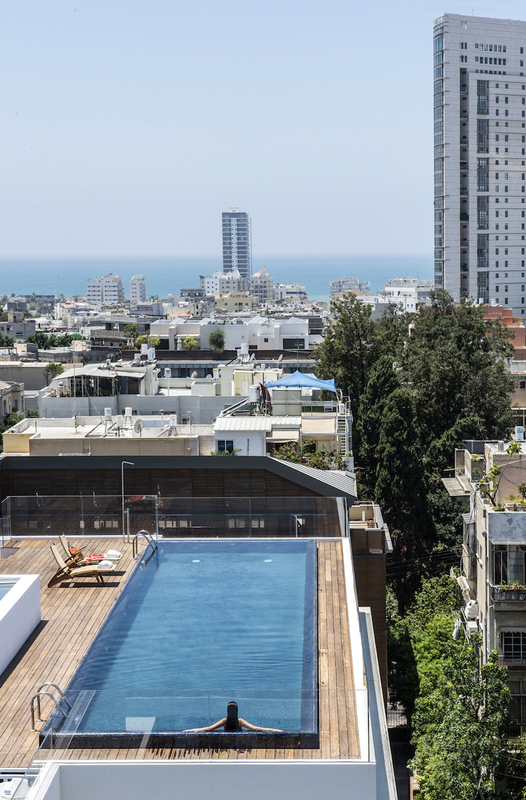 Sightseeing tours can be done without leaving the hotel - on a rooftop swimming pool with panoramic views in all of Tel Aviv. 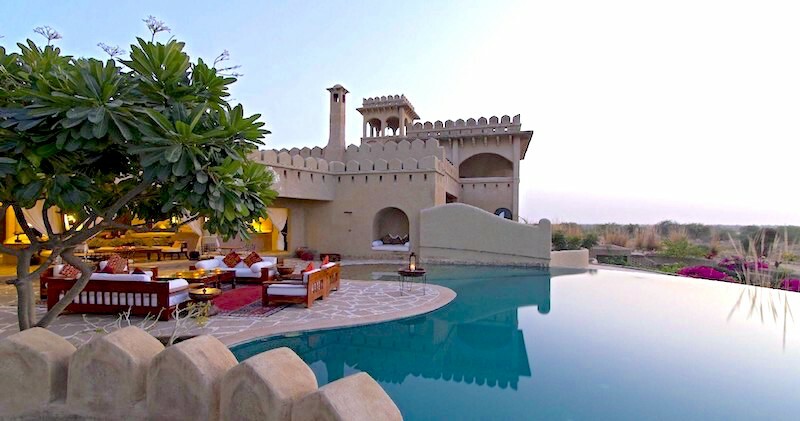 Mihir Garh, Jodhpur, India. Sunny Fort appeared eight thousand years ago, and in the last century started a new life - as one of the most unusual hotels in the world. Why such fame? 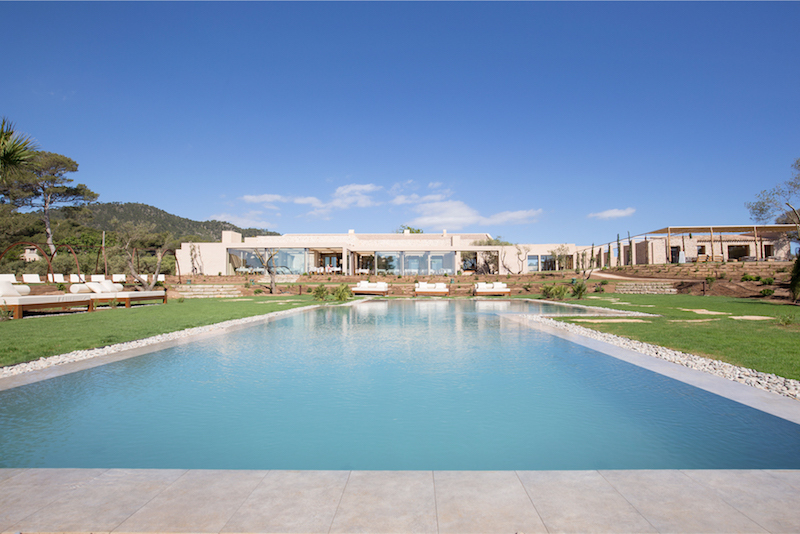 It's simple: each suite has a wonderful swimming pool - your own green oasis in the scorching Thar desert. Les Roches Rouges, France. The local swimming pool is more like a lagoon: it is carved right into the cliffs, and is filled with water from the Mediterranean Sea. So far as the sea is literally just a step. 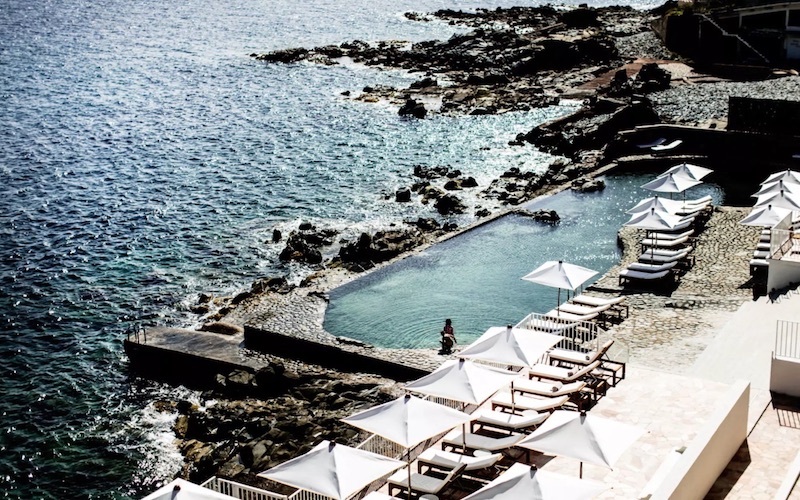 Hotel Pleta de Mar, Mallorca, Spain. 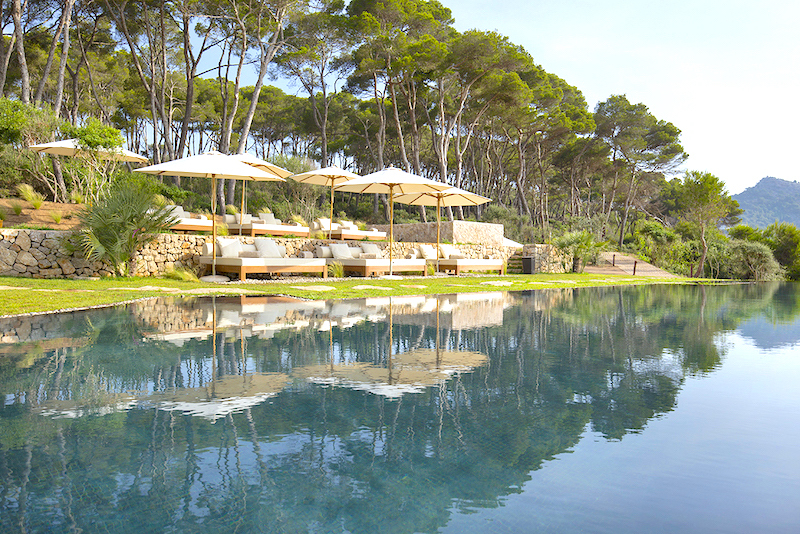 This boutique hotel in the protected area is only for adults - that even the favorite offspring had not violated your peace when you're happily splashing in the pool and inhale the pine scent of virgin pine forest.